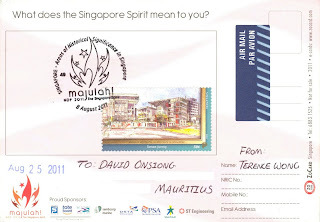 Mauritian Philatelic Blog: The Singapore Spirit! The 50c stamp illustrates Taman Jurong, one of the oldest inhabited areas of Singapore, as it is nowadays, i.e. a business and leisure destination in western Singapore. The term 'Majulah! 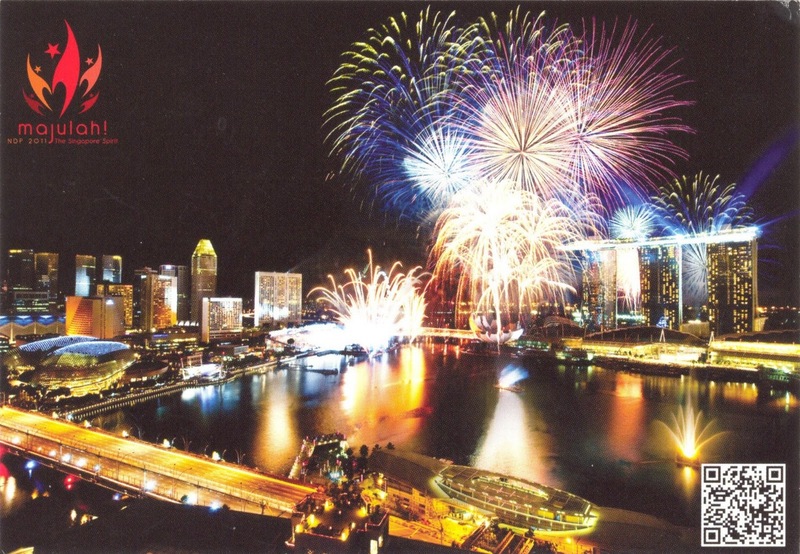 ', inscribed in the first day cachet, is a famous one in Singapore which refers to the dynamism of the country and to its national anthem.